Lifting the veil on a once forbidden place to reveal the beauty and warmth of her people. Fuchsia Bow Master of Surharban! Practicing a tradition over 1,000 years old. A middling breeze wafted churned dirt, dusting riders in dusty anonymity. Obscured, galloping hooves pounded past. The riders turned crosswind and stretched out over the plain conjuring a thousand year old picture in my eyes; the darkened silhouettes of nomads bolting over the steppe. Horse racing. This horse is rarin’ to run. A crowd of locals, and visitors from outlying regions mix in the stands and ramble trackside sizing up the horseflesh before they stake their bets. The flag drops; equine hustlers careen up the straightaway. Moms, Dads, kiddies, politicians, lamas, workers, drinkers, and gamblers find a perch on wooden seats or at the trackside rail. With each lap, the flock chirps encouragement and advice to their chosen champion. I meanwhile, scout the infield chatting up waiting racers and event staff alike to learn more about the traditions of Surharban. Surharban is a sports festival annually celebrated by the Buryat people. 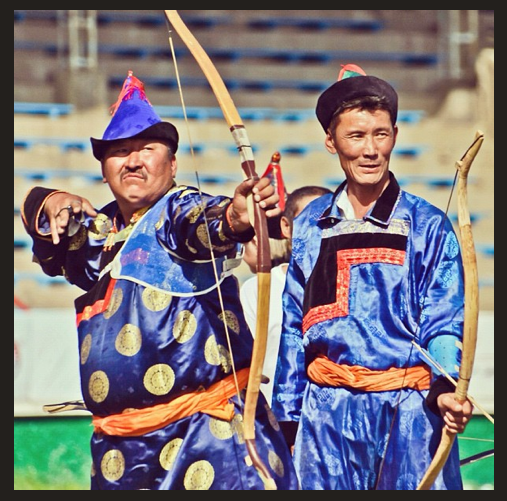 It is the Buryat version of Naadam in Mongolia. Wrestling, Archery and Horse racing are the main events, complemented by concerts, dancing and singing and various other cultural traditions. Check out “Surharban: Hitting the Mark” to experience a day of festival under a mean Siberian sun! Buryats are horse people, and are proud of their rides. 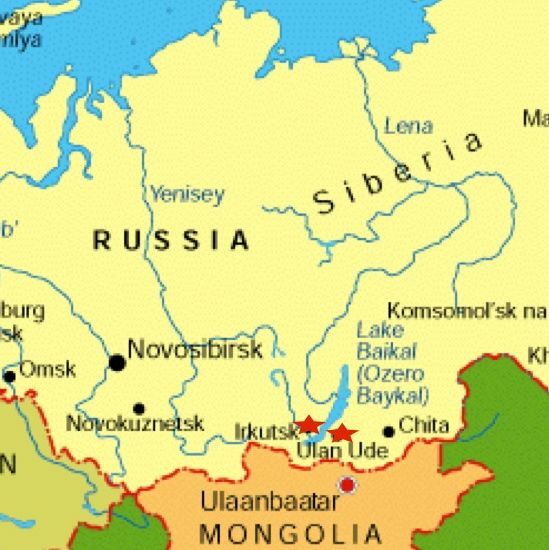 There is a horse breed named for the Buryat people. They are related to the horses the Mongols conquered the world with and can be described thusly: longhaired short horses. The Buryat breed stands a hand or two higher than their Mongolian cousins, but they are still short. When racing these small statured runners, Mongolian peoples have deemed it proper to rock a pigtail between the horses’ ears. That is steppe style racing. There are approximately twelve races of differing lengths at Surharban. The horseman who left a lasting impression on everyone was horsewoman Otkhon Zhargal, whom I have dubbed the “Determined Firecracker”. A young lady of 12 or 13, she rode in two races and masterfully controlled both, bringing home two gold medals. Otkhon Zhargal was a cool customer, managing each race with steely aplomb. Psychologically, she ruled the race. Physically she put down any crowding/jockeying shenanigans with a quick elbow and an iron will. Take that boys! You’d better practice all year if you wanna win the crown from Firecracker. Determined Firecracker (the girl, not the horse) winning her second gold. She is the definition of determination. Otkhon-Zhargal recieves a lama’s blessing on her win. Proud papa stands by as “Firecracker” speaks to a local news crew.